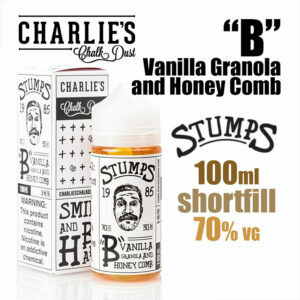 Stumps eliquids, made by Charlies Chalk Dust in California, USA. 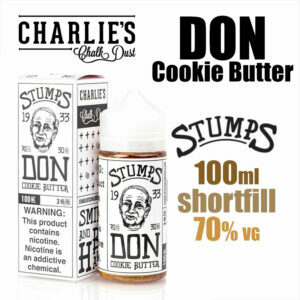 100ml of zero nicotine eliquid to which you can add nicotine shots. Flavours: butter cookies – spiced cookies smushed into a spreadable nut butter. 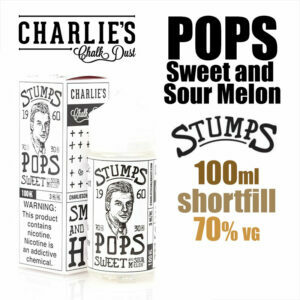 Flavours: Sweet and Sour Melon. 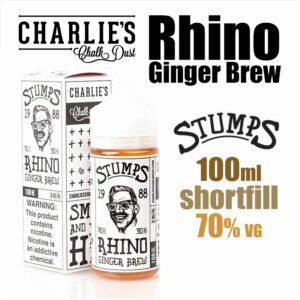 Flavours: Ginger Brew with a strong ginger bite.